The Washington Metropolitan Area Transit Authority (WMATA) is working to procure a system that would simplify the process of paying for bus or train fare, turning it into a tap of a smart phone or credit card at a turnstile. According to Transportation Nation, Metro is now accepting bids from tech companies to develop a new system that would enable passengers to tap their contactless-enabled credit/debit card or smart phone equipped with NFC technology to pay the fare when using bus or rail transit services. Currently, Metro riders must convert their dollars into Metro currency before boarding – either by acquiring a SmarTrip card or a paper fare card. 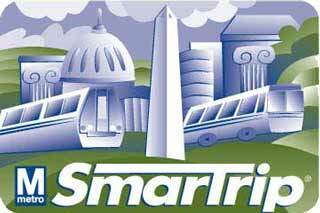 The SmarTrip system costs the transit authority millions annually to maintain. The new system would require installing new fare gates and new computers, but eliminating the cost and services of the SmarTrip system would save WMATA millions every year, said Randy Vanderhoof, executive director of Smart Card Alliance. The transit authority is currently in the final stages of a competitive bidding process to design the new payment system.